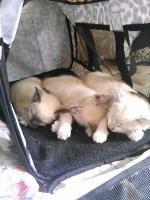 What's New on Life with Siamese Cats? showcase some of the hundreds of photos and stories sent in by our visitors over the years. You'll find some of our most popular ones listed below. In this month's newsletter we're covering teeth, gums, and all things oral. Join us to find out about the most common issues in feline dental health, and how you can help to keep your cat's mouth clean. 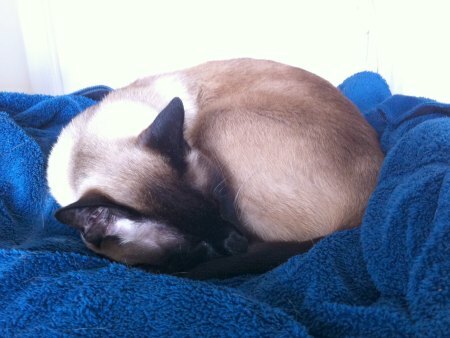 Continue reading "Meezer Musings, March 2019"
Is your cat a chewer or a wool-sucker? 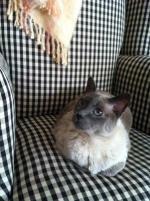 This month we're talking about cats who chew ... wool, plastic, cardboard, the cables, the furniture. Find out what you can do to stop this. 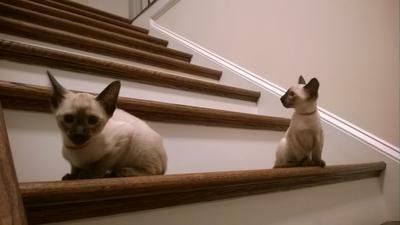 Continue reading "Meezer Musings, February 2019"
Continue reading "Generations of Siamese"
What happens when cats turn on their friends? In our January newsletter we investigate a behavioral issue known as redirected aggression, with ideas on what you can do if it happens to you. 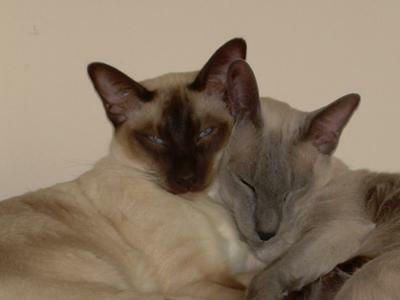 Continue reading "Meezer Musings, January 2019"
Searching for a Siamese cat-related Valentine card or gift? Look no further. Our brand-new page of beautiful heart-themed designs will wrap you in a furry Meezer hug! Continue reading "Valentine's Day Is Coming Up!" 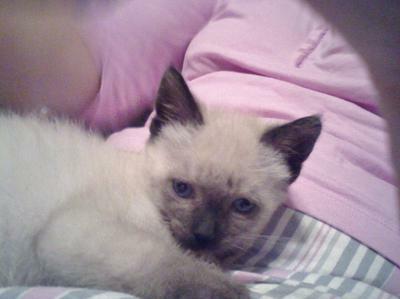 Continue reading "My Sasha, And The Things She Does"
Continue reading "Once Upon A Time, With A Cat"
Continue reading "How I found my three beauties"
Continue reading "Lily and Talulah"
Continue reading "Possum Blue, rescued from a feral cat colony"
Continue reading "What's in a name?"